With a freezer full of bread and a roommate that took some time to understand, Juliette Kemppi has fast made a home for herself in Tanya Oxtoby’s new-look Bristol City team. 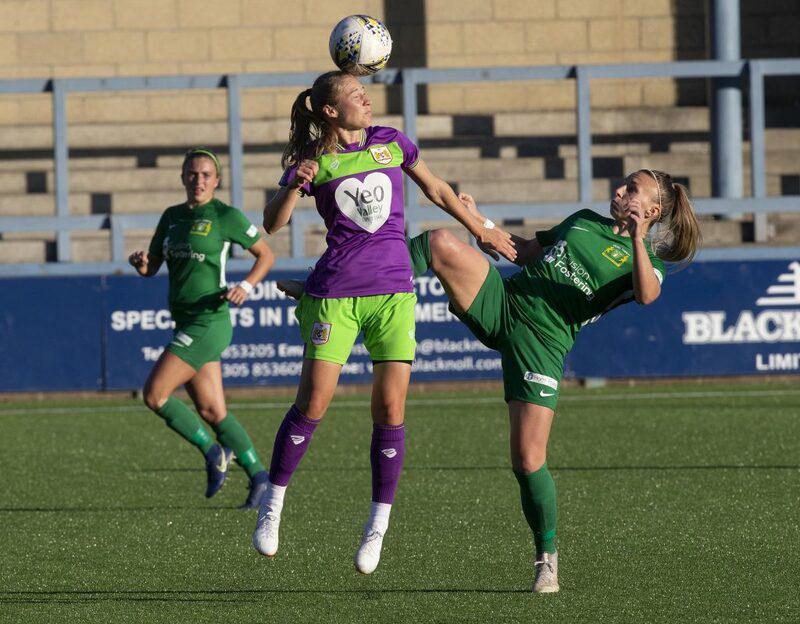 The smart striker is a key part of the team enjoying a mini revolution in WSL, daring the bigger sides to have a go if they think they’re hard enough, WRITES SOPHIE LAWSON. Did you know? Juliette is a floorball world champion. SK: When did it all begin, how did you get into football? JK: I started when I was five, all my schoolmates were playing football and I said, “I need to try this as well” and I was good at it. And one day someone called up and asked, “Do you want to come to the youth national team?” and I like, “I didn’t even know we had a national team but of course I want to!” After that I was thinking, maybe football can be my job and now here we are, and it’s a really nice job. SK: How would you describe yourself as a player? JK: I’m a smart striker. I don’t just run behind or ask for the ball to my feet, I read the game quite well and make smart runs. SK: Is there any one player you base your style on? JK: No, not really. Of course, there are a lot of really good players I have watched but I just want to be me. SK: You left Finland when you were 21 to join Damallsvenskan team, AIK who ended up relegated that year, how was that first season away from home? JK: I didn’t really enjoy it because it was a really difficult season for the team. 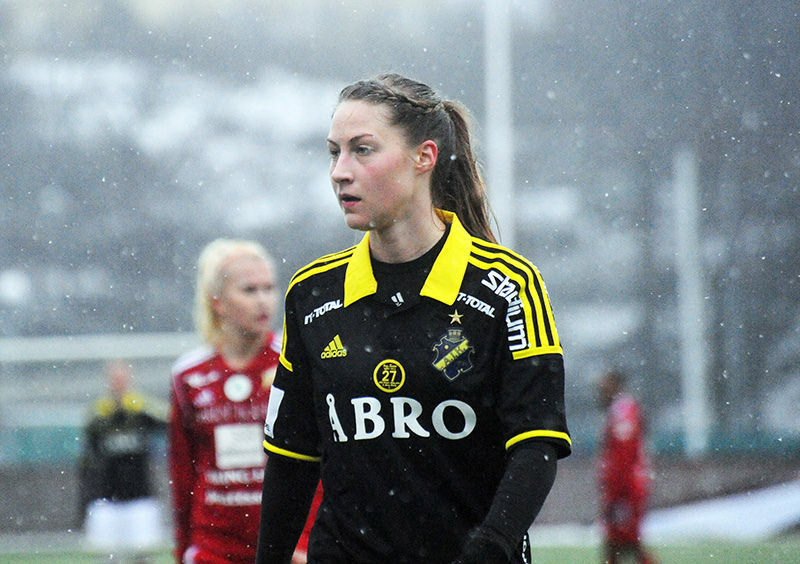 SK: After AIK, you went to Kolbotn in Toppserien, did it feel like a step down to go from Sweden to Norway? JK: I don’t think so, because still the Norwegian league is really good and they have a lot of good players. 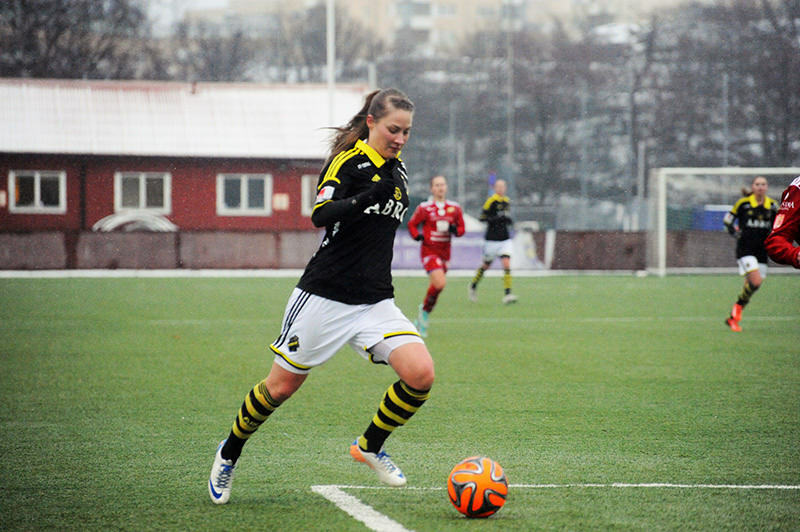 After AIK I thought I wanted to try another country and try something new, and it was a good move for me because and Kolbotn actually wanted my kind of style and I played a lot. SK: Before you joined Bristol City, you were at LSK for a season but didn’t play much, was that a frustrating time? JK: There were games when I started and scored three goals and then didn’t start the next game… but I just wanted to do my best in every session. I really grew up a lot and got to be a better player even though I didn’t play much so I’m really happy about that. SK: What were your first impressions of WSL? JK: It’s been really different to the other ones because it’s my first season in England, the style is really different from in Nordic countries but I like it and I think it suits me. And when I first moved, I was halfway through a season, so I was feeling really fit and fresh. SK: And how are you getting on with your teammates? JK: Really good, they are lovely, I love them. SK: You have to promise not to tell them we asked, but have you found it hard to understand Frankie, Lucy and Ertha? SK: What’s Tanya like as a coach? JK: She’s nice, she’s a really good coach. I think that like, she’s a bit different from than I’ve had. She’s young and close with players, I think she sees the game in a more modern way that other coaches too. SK: She’s got a background in psychology, is that something that changes how the team approaches games? JK: Of course, what we’re doing on the field is still just football but when we have meetings we are doing more psychological things, like we are thinking what type of player is good on the pitch and we are doing a lot of work with groups. SK: The Bristol team is a quite a young one (bar Frankie and Loz), do you feel that because you’re younger, you play with less fear? SK: Who’s the funniest in the team? JK: Gemma. I don’t understand what she’s saying but she’s funny. SK: And the best dancer? 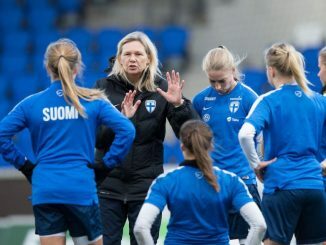 SK: Finland missed out on the World Cup but preparations are already underway for Euro 2021 qualification, what’s the mood in the national team like? JK: I think that now, it’s really good. We have a really young team and a new coach, and that’s been really good for us. Even though the results in Cyprus weren’t too good, we’ve had a lot of the ball and we are getting there, we just need to do some more work on the details and then we can get some results. SK: What did you make of the Euro qualification draw? JK: We are quite happy now, of course we have played against Spain many times so we were happy we didn’t get them again [laughs] and we haven’t played against Scotland in a few years so I think that’s going to be a really interesting game and the other teams as well… we can beat them all. SK: What game are you most looking forward to? JK: The Scotland game; playing against Frankie and Lucy. SK: You can always talk to your friends and family online or stream Finnish tv shows but what do you miss most about Finland? JK: The bread… we have really good bread. When I go home, I’m always bringing extra back and putting it in the freezer. SK: If you could time travel, where would you go? JK: Back to the U20 World Cup in 2015. It was just something amazing to be there. SK: Can you teach us some Finnish? JK: It means, Welcome to Finland! One word you have to know is sisu; we have that in our heart, it means we are hard-workers, never-ending. SK: And of course, if you had to fight one horse-sized duck or 100 duck-sized horses, which would you pick? 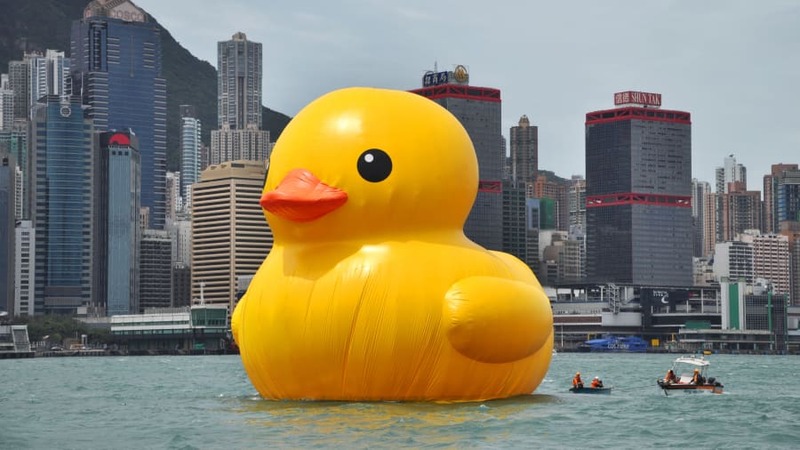 JK: The massive duck, it would be easier.